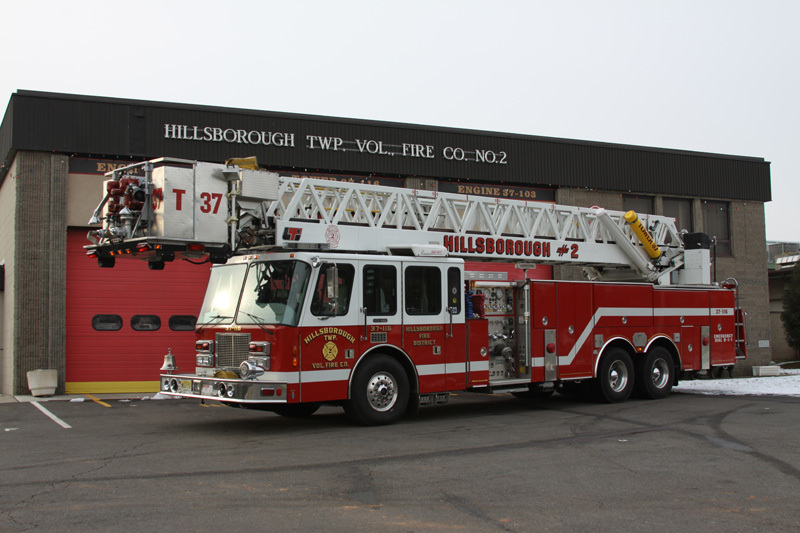 Tower 37 is the only platform ladder in Hillsborough Twp. The Tower often responds on mutual aid requests to neighboring communities. It has a 100-foot tower ladder with two monitors mounted on the bucket but does not carry any water. The truck seats six firefighters.